The domain of cryptocurrencies has seen a huge jump in these past few years. Within the span of the last decade, we have seen the rapid rise and fall and subsequent rise of the Bitcoin, which further gave birth to the phenomena that cryptocurrencies seem to have become today. From investments to mining, they seem to have left a mark almost everywhere. While they initially started out as just an alternate means to store our money, today they form a hefty share of the world’s biggest financial markets. Also, the industry has seemingly become so big and influential and it in itself has given rise to certain markets and small industries, all of which seem to be doing good business and reaping substantial profits. The mining industry, for example, has necessitated the formation of a market for mining rigs. These rigs are heavy in power and operations, and once functional, they demand hefty energy costs and power bills. However, if carried out in a judicious and effective manner, cryptocurrency mining has the potential to become an extremely profitable trade for the user and bring about larger than anticipated profits in the form of crypto coins. It, therefore, comes as no surprise that the mining industry is booming, and continuous innovations and advancements in the field of mining rigs have made sure that mining in itself as an activity always remains profitable for the people involved in it. Similarly, another industry which seems to have sprung up on account of cryptocurrencies and their popularity seems to be the Bitcoin wallets industry. Whenever you think of mining, you are in most accounts thinking of how to get them or buy them from various channels. While some prefer to simply pay for them at certain trading platforms, others think mining for coins is a better option. But whatever be the medium through which you procure them, one fact remains common. You need to look for a place to store them that doesn’t leave any stone unturned when it comes to ensuring their safety. Holding your crypto coins isn’t just restricted to finding a place to hoard them all at once, but in fact involves looking for a medium which strives to uphold all the quality and security standards that happen to be critical in maintaining your coins’ confidentiality and safety. Fortunately, we don’t have to look far, for cryptocurrency wallets are here to save the day. These wallets, specially designed to hold cryptocurrencies are fast, easy and secure. 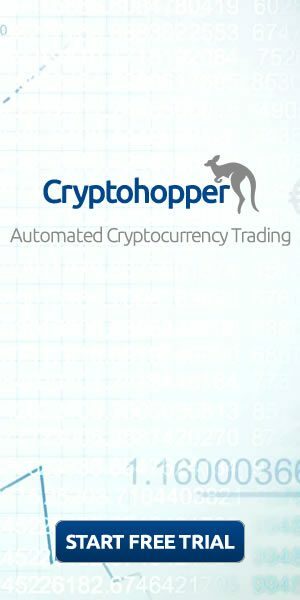 In addition to giving us an easy platform to store all kinds of cryptocurrencies, they are also responsible to the fullest in maintaining their security. Once you store a portion of your coins in a wallet, they employ all sorts of firewalls and security protocols in order to protect them from any external attempts at sabotage. Additionally, if you still feel doubtful about whether that’s enough, you can always opt for an offline wallet which remains disconnected from the internet at all times, thereby automatically shielding your coins from any external attacks. 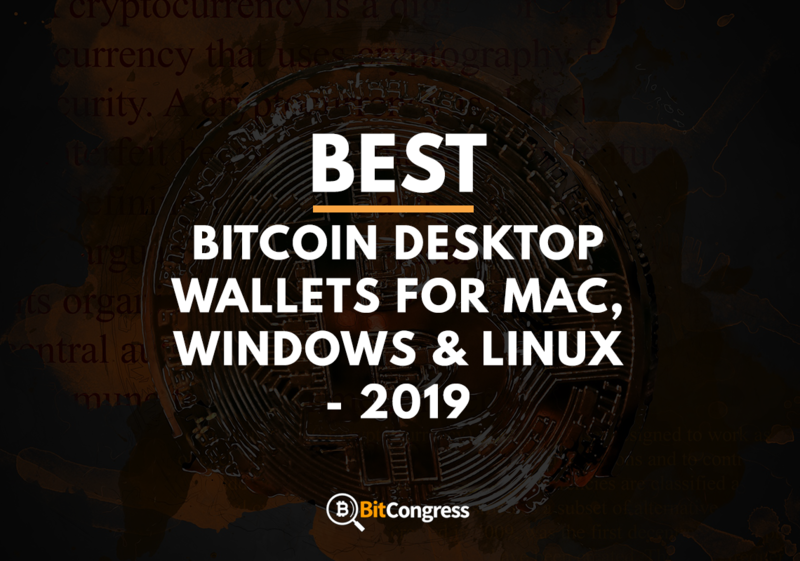 Now that we are through with the basic ins and outs of the cryptocurrency business, it is time to move on to the crux of the matter, which is the review of some of the most fantastic desktop wallets for Bitcoins that you are likely to find in the market today. We went ahead and did the research so that you don’t have to. If you are looking forward to starting a business in cryptocurrencies, then you are most likely to need a well functioning but a safe wallet that takes care of all your storage requirements. With the sheer plethora of models available in the market today, a buyer is bound to get confused while searching for the right fit as per their needs. 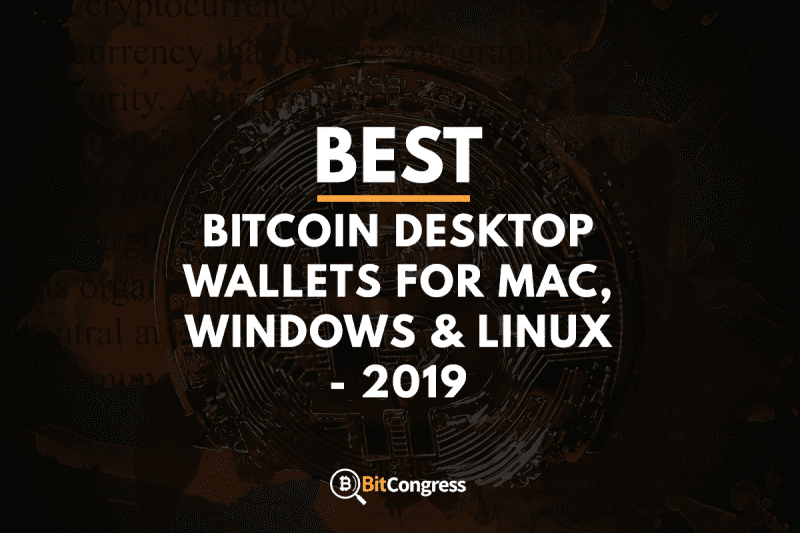 If you are struggling with a similar problem, then read on, for here we have compiled a list of the most well designed and implemented desktop wallets for Bitcoins to have ever hit the market. Desktop wallets are great in the sense that they are completely hassle-free and ridiculously easy to use. For anyone who has to make payments in Bitcoin, or carry out Bitcoin transactions frequently, desktop wallets are the way to go. With their smooth interface and fluid navigation systems, they make for a pretty great user experience and fantastic service. While hardware wallets require you to carry the physical device around with you at all times in case you want to use it, desktop wallets ask for no such thing and can be used anywhere and anytime. There is one consideration to keep in mind before we proceed any further though. While desktop wallets are great, they still have the added liability of being vulnerable to external attacks or cyber thefts. 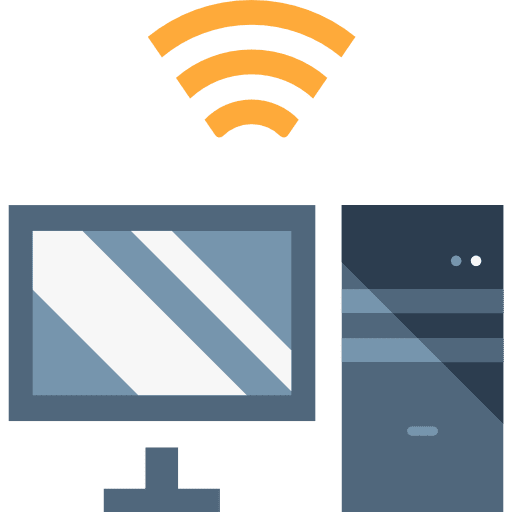 Since they are continuously connected to the internet, they are extremely susceptible to malicious attempts by hackers or unwanted intrusions into your account. Hardware wallets, on the other hand, although a little less satisfying when it comes to user experience, do manage to keep your funds extremely safe behind a number of security protocols and firewalls. They seem to work better in terms of security simply because they need not be connected to the internet, giving them automatic immunity against hacking attempts and cyber thefts. Electrum is arguably the most popular desktop Bitcoin wallet in the market right now. It has advanced features, an intuitive interface and a great dedication to achieve customer satisfaction. The primary selling point of this successful wallet happens to be that it is amazingly easy to use and can be operated easily even by those who are completely new to cryptocurrencies and Bitcoin investments. Some advanced features that you would find in this unit are cold storage facility and TOR, which you will seldom find in other desktop wallets. Created way back in December 2011, you know a brand is good when it has been around for that long. Electrum markets itself as a lightweight wallet and is flexible in the sense that it can be operated easily on Mac, Windows and even Linux machines. Now desktop or software wallets often need to work in tandem with hardware wallets for a fulfilling experience for the user, and the Electrum desktop wallet lets you do just that. It supports integrations with Trezor, Ledger Nano, and HW1. Additionally, you get to have access to a secure and safe cold storage via an offline computer and even enjoy decentralized verification through SPV. You can use Electrum either as a hot wallet which happens to be connected to the internet at all times, or a cold storage which remains disconnected and keeps your coins secure and safe from cyber thefts. No matter what the configuration of your wallet, you will always need to generate a 12-word seed or passkey in order to access your funds and carry out basic functionalities like taking backups of your data and restoring the entire wallet along with its keys. If you are running your wallet in the cold storage mode, the seed will need to be generated on a bankable offline computer system and then noted down by the user for future use. Using the seed, a master public key is subsequently created and further imported to a separate version of Electrum installed on your general computer system. All these measures allow you to easily check your wallet balance, accept or send payments, and even create new addresses without running the risk of funds being stolen away from your computer. All transactions are required to be signed on the offline computer to ensure maximum security. As far as the security keys are concerned, all of them are private and never even get to leave your computer system, so there is absolutely no chance of them getting stolen. The way Electrum works is that it uses the servers created by the users themselves in order to retrieve balance and transaction information. Now since these servers are mostly random, they have no possible means of knowing your personal information such as your name, but they do have access to your IP address, balance, and even wallet address. Proxy services such as Tor are effective in shielding your IP address form external services such as the servers employed by Electrum. There is, however, a limitation to this. Tor can’t prevent the server from knowing that a list of addresses belongs to a singular entity. While some servers explicitly state that they are not in the practice or storing or logging your personal information, it is actually impossible to determine the accuracy of the statement without creating an Electrum server yourself. Since Electrum claims to be an HD wallet, it actually creates new addresses for each new transaction and does not, under any circumstance reuse old addresses. This acts as a great deterrent against spying techniques and attempts on your funds and payments. As per the Open Bitcoin Privacy Project’s Spring 2015 report, Electrum received a score of 46 out of 100. Multibit is a desktop wallet for Bitcoins that has been in use for quite some time now. It comes with a good range of features and is fast as well as light. However, the one major drawback with the service is that it is no longer developed and has been utterly deserted by the developers themselves. This has caused a major roadblock for the otherwise well-performing wallet and has practically put a stopper on sales and profits. We recommend users not to go for Multibit unless and until this problem is resolved and opt for Electrum instead. For those users who have already bought the wallet or are already using it, read on. Operated by KeepKey, which happens to be great hardware wallet in itself, Multibit functions solely as a desktop wallet for Bitcoins. It was launched back in 2011 and has thus enjoyed a good and relatively successful run. It is one of the oldest Bitcoin wallets still in use and therefore comes with tons of experience and years of constant updates. The primary features for MultiBit which appeal to customers are the fact that the brand associated with it happens to be highly reputable and that the source code of the program is open to the public, meaning that any person can log on to their website and check out their source code or even suggest improvements. Additionally, ease of use is another parameter on which Multibit excels. The process of sending or receiving payments and that of creating your account has been highly simplified and makes for a great user experience. The first step for you to actually start using Multibit is to log on the official website of Multibit and to download the wallet on your system. Once you do that, you need to install the program on your computer. The instructions for that might vary from system to system. But once you are through with that and double click on the app’s icon to launch it, you will get a prompt asking you to select the interface language. Next, you need to choose a wallet type for yourself. Once you have reviewed all the options and weighed in the pros and cons of each of them, make your selection and click on the next button. Keep on reading the directions that pop up on the screen. At one point you will need to select the operation that corresponds to creating a new wallet, and you will be redirected towards that. Additionally, you will also need to finalize a destination for your wallet’s backup on your system. Make sure you do that in a highly secure but accessible location since the wallet’s backup will prove to be highly crucial in case of some kind of mishap or emergency. These backups are responsible for protecting your payments and contacts if your computer is damaged or stolen, as explained in the installation wizard itself. Once you are through with choosing a secure location, you will move further and eventually create your wallet’s recovery phrase. This phrase is similar to a security question that comes into play whenever a person loses the password to their account or is unable to log into the account for some other reason. This recovery phrase needs to be handled with utmost care. Try not to share it with anyone but the people you trust the most, and also write them down carefully on a piece of paper in case you happen to forget them. We do not recommend storing the phrase on a digital or electronic device since those can easily be hacked or broken into these days. Once you re-enter your wallet recovery phrase and date stamp, you will have confirmed your wallet backup. Once you are through with all of this, you should see a ‘verified’ sign on the dialog box for the app, which typically appears on the left-hand side over and above the exit button. In case of the absence of this button, you might want to go through the verification process again since it means that you made some error in typing in the words. The next step involves creating a password for your account. This is crucial because what if someone else gets to use your computer? You wouldn’t want this other person to take a look at your cryptocurrency balance, or send and receive funds from your account, which is why you secure your account with a password so that even if someone else happens to use your computer, they won’t be able to get inside your Multibit account. Now re-enter the password and once you do, your wallet will be unlocked. Now that the setup for the wallet is complete, you are free to explore and check out the features. The top left corner displays the balance while there is a panel of the left which lists the payments option. The payments tab is where you can easily view all your transactions, be it sending or receiving funds. In the same sidebar, you will find the option Send/Request which is obviously used to actually initiate or request a payment. Once you click on send, you will find yourself redirected to another pop-up box which then asks you to list the recipient to which you need to send the coins, and the amount as well. The request service works in almost a similar manner. There is also the added option of opting for a QR code method, and you can actually view the QR code for your own address by clicking on the annotated button in the request tab. Adding funds is pretty simple with Multibit and requires no complex knowledge. In fact, Multibit has now integrated with Gildera, which means it is now possible to actually buy Bitcoins from the wallet itself. That in itself is a great feature that you won’t easily find in other Bitcoin desktop wallets. However, if Gildera is not your cup of tea, or there is some other service that you prefer, then you can always use that to outsource Bitcoins to Multibit. A few examples of such Bitcoin exchange services are Coinbase, which works across the US, Canada, Europe, Singapore and UK, Bitstamp which functions as a licensed and regulated exchanged based in Europe and Worldwide, which is a website that specializes in selling Bitcoins. Multibit does charge you a small fee when it comes to making payments. However, this fee doesn’t really go to the Multibit wallet itself but is, in fact, a fee charged by the Bitcoin network. There is no exact fixed amount for the fee you will end up paying to the network, but it is, in fact, a variable that depends mostly on what time of the day you are making the payment and how much money you are about to send. While these were two of the primary options when it comes to Bitcoin desktop wallets, there are other equally robust and capable alternatives available which might as well end up being more profitable and beneficial for you. Choosing a desktop wallet is risky business, for if you do not take your own requirements and needs into consideration before making a purchase and simply get the wallet which happens to be the best as per common market reviews, there is a chance that you may not get the best value for your money or the best service you could have possibly received. In order to avoid such pitfalls and common mistakes, it is best to read up a bit on these different models and then choose one which you feel suits you best. Bitcoin Armory is another pretty old desktop wallet that has been in use for a long time and functions pretty well for all desktop platforms. It doesn’t matter whether you use a Windows, Mac or Linux system, for the Bitcoin Armory platform runs smoothly on all three of them. Old timers who have now come to understand the wallet well are actually capable of using this experienced unit as a cold storage, giving their coins automatic immunity from hackers or cyber thefts due to being disconnected from the internet. The tried and tested nature of this wallet makes it a decent option for certain customers and will continue to be so in the future. Bitcoin core is a Bitcoin full node wallet. A Bitcoin full node is a program that fully checks and verifies transactions and blocks from the blockchain. In simple terms, it means that Bitcoin Core basically downloads the entire blockchain onto your system, thereby making it a heavier application to run and operate. Since it is somewhat complicated in nature as compared to other desktop wallets belonging to the same category, it takes a much longer time to set up and requires patience from the user. However, once it is all set and done, it functions as the most private Bitcoin wallet in the market.